A note from Jondi about this dip — I’m not always a huge fan of cranberries and I don’t like jalapenos at all. But for some reason, when you put them together in this dip they are delicious. This episode was all about games we like with mechanics we don’t like, so I thought this dip was the perfect recipe to share! 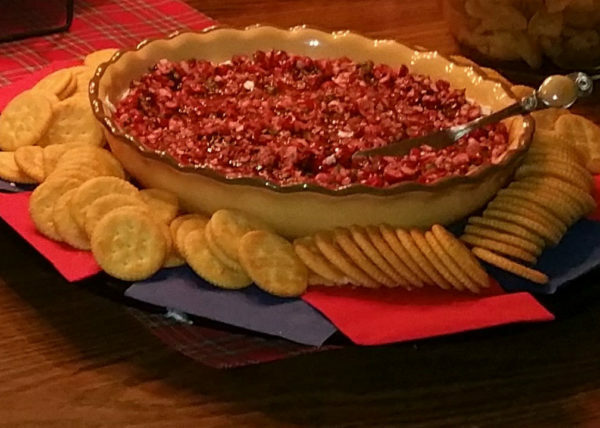 My sister-in-law first started serving this dip at family get togethers a few years ago and my super picky daughter even started requesting this dip! She even asked for it to be served at her college graduation party! You should definitely serve this at your game night! And when you do, take pictures, post them and tag us! Let us know what all your gamer friends thought!